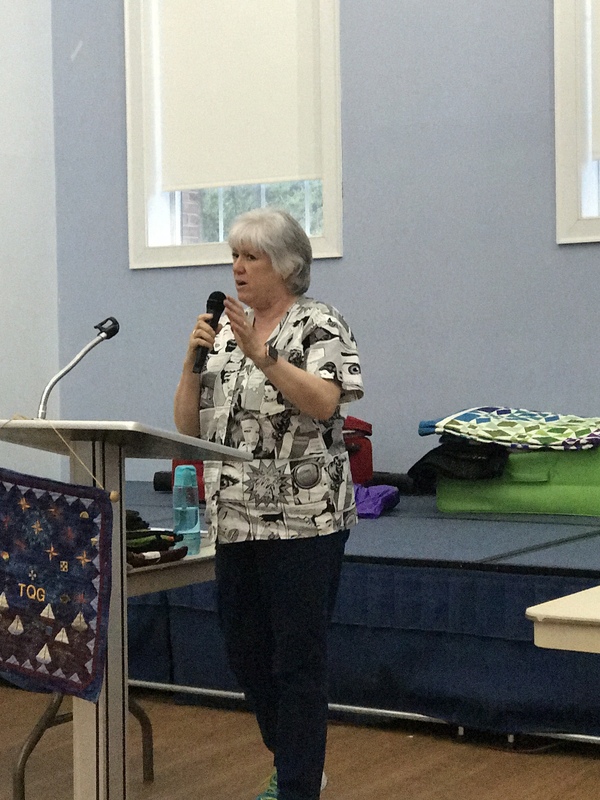 The products featured in this post were given to my by Island Batik. The Island Batik challenge for May is “Playful Pillows”. As I was thinking about what pillow design I would choose, it occurred to me I had a wealth of ideas at my fingertips. So many of my favorite quilt patterns have blocks large enough for a pillow. I decided I would make the center block from Deb Tucker’s “Carolina Lily: One Block” wall quilt pattern. Carolina Lily is a companion pattern for the Wing Clipper I. My fabrics from Island Batik & threads from Aurifil. For each of the 3 flower blocks you will need 4 flying geese units. Two of the flying geese units will have one pink point & one green point as shown above. 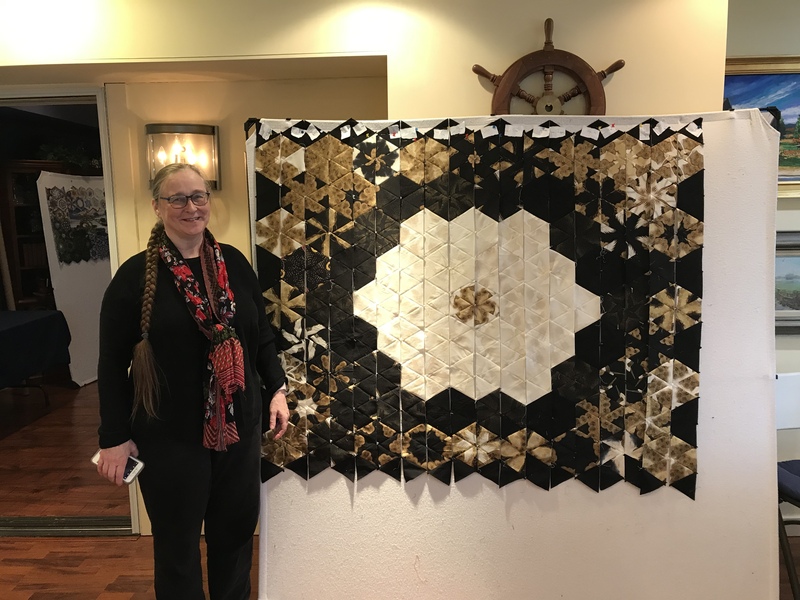 Deb Tucker’s method for constructing flying geese requires one large square and 4 small squares. The large square is my background fabric. Three of the small squares are my pink fabric, and one is the green fabric. Using your Magic Wand draw two diagonal lines on the back of your small squares. To make a flying geese units position one green square and one pink square right sides together in diagonally opposite corners of the one large square. Do Not align the raw edges, instead nudge them in toward the center just a few threads & overlapping the two small squares. Stitch on the lines and cut apart. Press the seams toward the smaller triangles. Position the remaining pink squares in the corner of the previously pieced units. Nudge the squares as you did before. Stitch on the lines and cut apart as before. Rotate the unit and reposition the Wing Clipper to align cleanup guidelines with the previously trimmed raw edges and the “X” at the top with the intersection of the seams. Trim up the side and across the top. Do this for all your geese units. Construct your lily block according to pattern instructions. 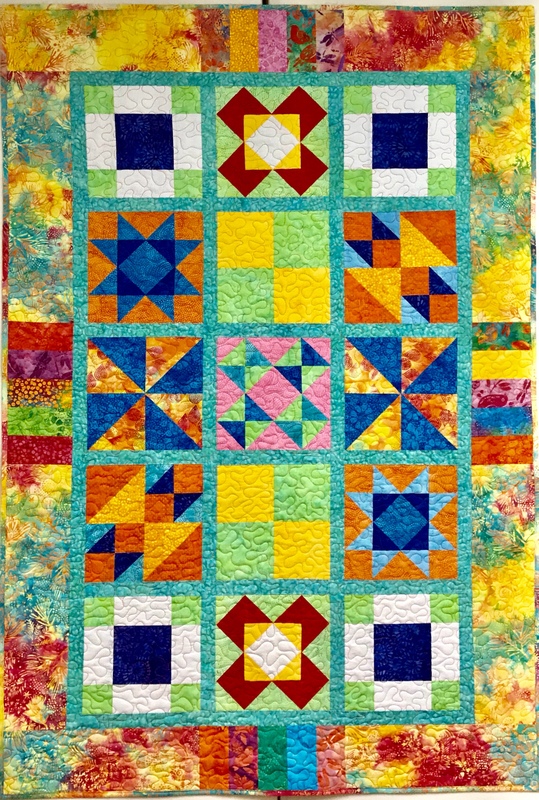 The lily block measures about a 16 1/2″, I added 2 1/2″ borders all around it. I like the inside of the pillow to be neat with no raw edges showing. I want to quilt this block so I cut a backing and batting larger than my block and pin basted it. I used my walking foot and cross hatched the basket portion of the block. I was carefully supervised during this process. Once I finished with the basket, I outlined the flower parts and squared up the pillow top. My pillow top now measures 20 1/2″. I cut two pieces of fabric 12″ x 20 1/2″. On each piece, along one of the 20 1/2″ edges fold it over about 1/4″, press it & fold it over again and press it. Stitch on the pressed over edges for a nice finish. Position these two pieces on the pillow with WRONG sides together aligning the raw edges so the finished edges overlap in the middle. Pin in place and stitch around the outside edges of the pillow using a 1/4″ seam allowance. Now you have a pillow with raw edges around the outside edge. I like to add a binding just like it was a quilt. That way the inside of the pillow is completely finished with no unfinished edges, which is nice for washing the pillow case. I made this pillow for my sister Mary, but I think Tucker & Zoey are claiming it! 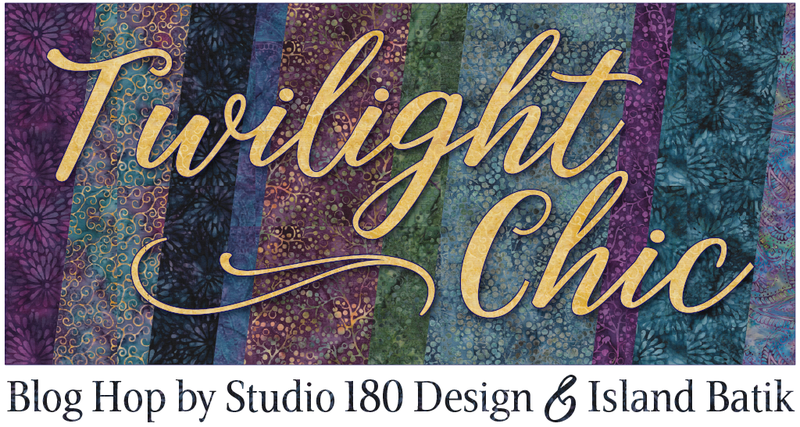 This entry was posted in Island Batik Ambassador, Island Batik Fabric, Studio 180 Design, Studio 180 Design Tools, Uncategorized, Wing Clipper 1 and tagged Aurifil Thread, Deb Tucker, Island Batik, Island Batik Ambassador, May Playful Pillow Challenge, quilting, Quilts, Studio 180 Design, Wing Clipper 1 on May 1, 2018 by ifthesethreadscouldtalk. 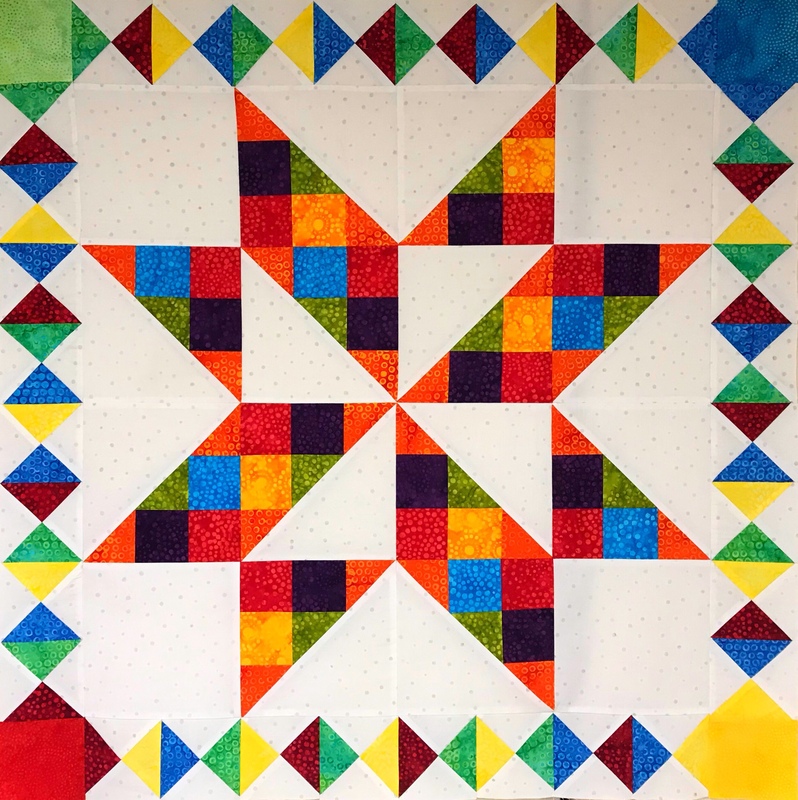 This is a very cool block, but be sure to use your best pressing, measuring and cutting skills as this is a 3 out of 4 stars for difficulty. All the instructions to make this block can be found in the instructions that came with your Wing Clipper I, Tucker Trimmer I and on the Pickets & Quickets technique sheet. This is a tricky block; you will need to pay attention to your fabric placement and the orientation of your quicket and picket units. To help you out here is link to the Whirligig Black Line Layout you can print this sheet and use your colored pencils to help choose your fabrics and placement. 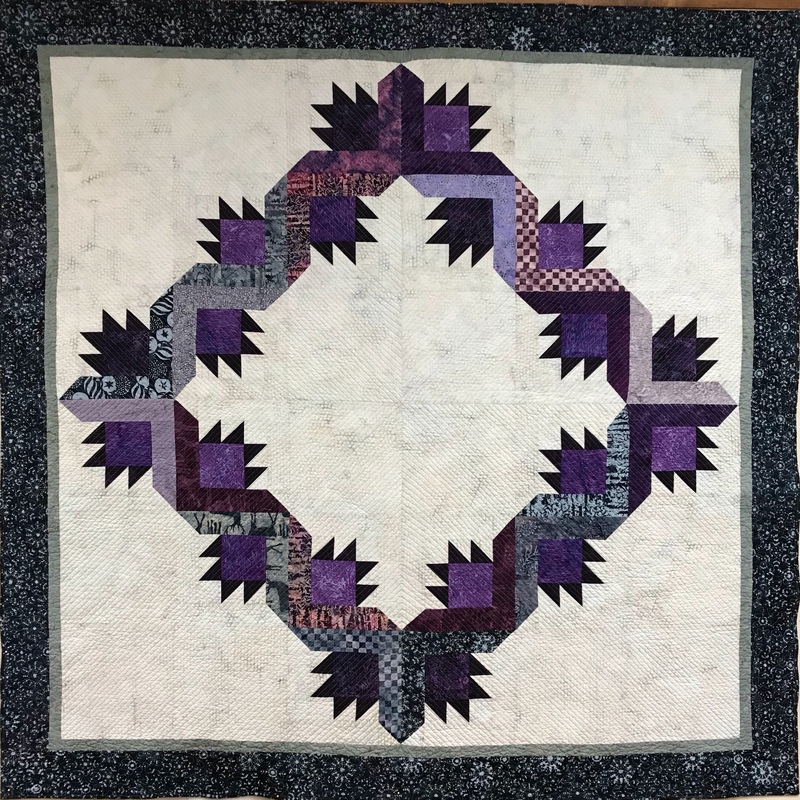 I chose five colors and a background fabric to make 4 different color units, each containing 2 flying geese, a Picket, a Quicket and a half square triangle. The 05 Whirligig block can be made in 3 sizes: 6″, 9″ and 12″. I chose the 12″ block. Check the Cutting Chart, and choose the size block you want to make. We will start with the Flying Geese Unit. The cutting chart gives you the finished and the cut sizes of the units. Check your Wing Clipper instructions to see what size starter squares you need to cut. As you know when using the Wing Clipper you start with one large square and 4 small squares. Following the instructions use your Magic Wand and draw two diagonal lines on the back of your small squares. Stitch on both drawn lines, them trim between the lines on the center diagonal. Press the seams toward the smaller triangles. One of these units will make 2 flying geese, the other will be saved to make a left slanted Quicket. Position one of the smaller squares in the corner of the previously pieced unit. Nudge the square in like you did before. Stitch on the drawn lines and trim between the lines as before. Lift your Wing Clipper and rotate your flying geese unit 180 degrees. Reposition your Wing Clipper to align cleanup guidelines with the previously trimmed raw edges and the “X” at the top with the intersection of the seams. Trim up the right side and across the top. Remember we only used one of the heart shaped units for the flying geese. We will use the other to make our left slanted Quicket. Lay the unit on your cutting mat as shown above. Position your Wing Clipper tool over the unit, the “X” on the tool should align with diagonal seam. I am making a Quicket with a cut size of 4 1/2″ by 2 1/2″, so I positioned my tool to ensure I can trim all four sides. Trim up the right side then across the top. Lift your Wing Clipper tool and rotate your unit 180 degrees. Align the trim down lines with the just trimmed raw edges and aligning the long diagonal line on the tool with the single diagonal seam. Trim up the right side and across the top. The cut size of my right slanted Picket is 2 1/2″ by 4 1/2″. Following the instructions on my Pickets & Quickets Technique Sheet, I bump up the size by 1/4″. My rectangle is 4 3/4″ by 2 3/4″. My small square is 2 3/4″. Draw a diagonal line from corner to corner on the small square. Position the small square right sides together with the rectangle and align the raw edges. Stitch on the line and trim the excess. Press toward the small triangle. Position your Wing Clipper tool over the unit, the “X” on the tool should align with diagonal seam. Trim up the right side and across the top. Follow the instructions that came with your Tucker Trimmer I for making Half Square Triangles (HST) in the size you chose. Using your Magic Wand draw two diagonal lines on the back of one of your starter squares. Place your starter squares right sides together. Stitch on lines and trim down the center. I pressed toward the dark fabric. Lift your Tucker Trimmer and rotate the HST 180 degrees position the diagonal line and the outline of the square to the measurement desired and trim up the right side and across the top. We are now ready to sew this unit together. Layout the 2 flying geese, 1 left slanted Quicket, 1 right slanted Picket and 1 half square triangle as shown above..
First stitch the 2 flying geese together, press in the direct the geese are flying. Then stitch the geese to the right slanted Picket. Press toward the Picket. Stitch the HST to the left slanted Quicket, pressing toward the Quicket. Stitch the two sections together. Repeat the process for each of the other 3 sections. If all of your geese are the same color you can make all your flying geese in sets of four, then make the Pickets & Quickets using the method in the technique sheet. When I stitched the four sections togehter I pressed the seams open to avoid bulk. As I said in the beginning, “very cool block”! This entry was posted in BlockBuster's, Tucker Trimmer 1, Tucker Trimmer Units, Wing Clipper, Wing Clipper 1 and tagged BlockBuster, Deb Tucker, Flying Geese, Half Square Triangles, Pickets & Quickets, quilting, Quilts, Studio 180 Designs, Tucker Trimmer I, Whirligig, Wing Clipper on September 4, 2017 by ifthesethreadscouldtalk. This is a great block. 04 Capital T Variation requires the use of your Wing Clipper I, & Tucker Trimmer I. You’ll be making flying geese, combination units and quarter square triangles. The supply list shows 3 block options. I chose the first 3 color combination because I’m using some Kim Diehl fabric with a cream background for all my BlockBuster’s so I can make them into a cohesive quilt when I’m done. 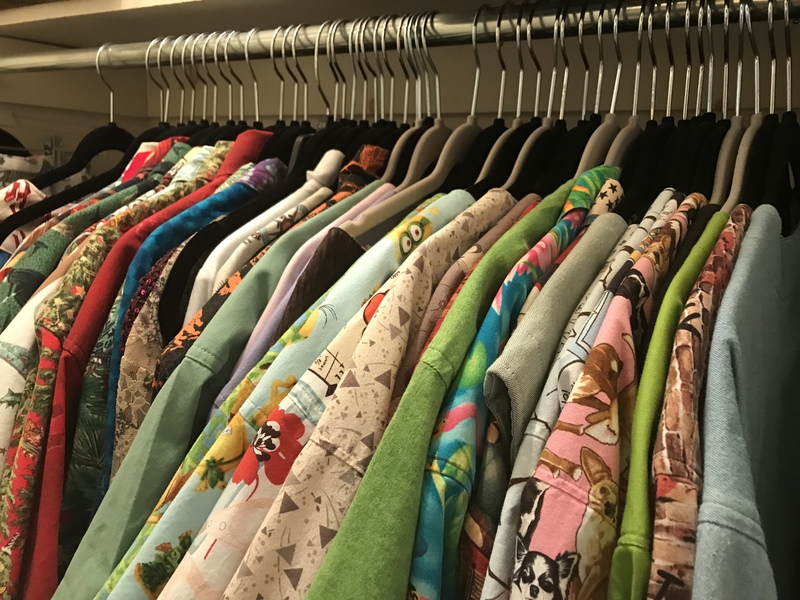 You have 3 size choices. I chose to make mine 12″ blocks with 4″ finished units. All the instructions you need to make the units required for this block are with your Wing Clipper & Tucker Trimmer. In both there are size charts that tell you what size to cut your starter squares depending on the finished or cut size of your units. When making your block you will want to pay close attention to your color placement. Remember when making your flying geese, your large square becomes the body and small squares become the small triangles in your geese. I have cut my starter squares to make 4 geese with a blue body and gold wings, and 4 geese with a gold body and blue wings. On the backs of my small squares draw 2 diagonal lines using your Magic Wand. Position two small squares on your large squares right sides together as shown above paying attention to your fabric choices. Nudge your small squares in toward the center just a thread or two (about a 1/16″). This will give more to trim off later. Stitch using a scant 1/4″ seam allowance. Press toward the small triangles. Remember “what you are pressing toward – always goes on top”! Position one small squares on the corners of the previously pieced units, nudging the squares away from the edges as before. Stitch using a scant 1/4″ seam allowance. Cut apart. Press toward the small triangles. Position your flying geese unit pointed toward you (left handers see your Wing Clipper instructions). Align the diagonal lines on your tool with the seams in your unit. As you can see I’m am making a 2″x4″ finished flying geese, so the cut size is 2.5″x 4.5″. Trim the two sides as shown. Rotate your unit and reposition the Wing Clipper to align the previously trimmed edges and the X at the top with the intersection of the seams and trim again. Repeat with all your flying geese units. I now have two sets of 2.5″ x 4.5″ flying geese. Combination Units: after checking my size chart I know my starter squares for 4″ finished units are 5.5″. I cut one gold, one blue and two background squares, all 5.5″. Combination Units start by making half square triangles. I grabed my Magic Wand and drew two diagonal lines on the back of one of my gold 5.5″ square. Position the gold square on the blue with right sides together and align the edges. Stitch on both lines using a scant 1/4″ seam allowance. and cut apart. Press toward the dark triangle. Grab your Magic Wand again and draw two diagonal ines on the back of both Half Square triangles. Position each half square triangle on a 5.5″ background square, right sides together centering it. Stitch using a scant 1/4″ seam allowance. Cut apart as shown above. You now have 4 combination units. Note: this process creates units that are “mirror images”. Position the Tucker Trimmer over the unit, carefully aligning both diagonal lines with the stitched seams as shown and trim. Rotate the unit and line up the Tucker Trimmer again. This time be sure to position both diagonal lines and the outline of the square to the exact measurement desired and trim again. Four beautifully trimmed combination units for the corners of our block. Quarter Square Triangles: Check your size chart. These are 5.5″ starter squares. On the back of my gold square I have again used my Magic wand to draw to diagonal stitching lines. Position the gold square over the blue square, right sides together, aligning the edges. Stitch using a scant 1/4″ seam allowance and cut apart. Press toward the dark triangles. Using your Magic Wand Draw 2 diagonal lines on the back of one half square triangle. Position the two half square triangles right sides together, making sure the colors are opposite each other (my gold is against the blue and vice versa) carefully nesting the seams as shown above. Stitch using a scant 1/4″ seam allowance. Cut apart and press swirling the centers as shown above. Position the Tucker Trimmer over the unit carefully aligning both diagonal lines over the seams lines of the unit. Trim two sides as shown. Rotate the unit and line up both diagonal lines again along with the outline of the unit to the exact measurement desired and trim. Only one quarter square triangle is needed for this block center. Layout your units as shown above being careful of color placement. Notice the body of my geese follow the colors in the quarter square triangle. And the colors in the combination units are the same as the wings on the geese. Stitch your geese together in pairs as shown above. Stitch 3 units into a row as shown above. This shows how I pressed the block. The outside rows were press toward the combination units, while the center row was press toward the quarter square triangle. This allows the rows to nest nicely. The finished 12″ Capital T Variation block! I love It! 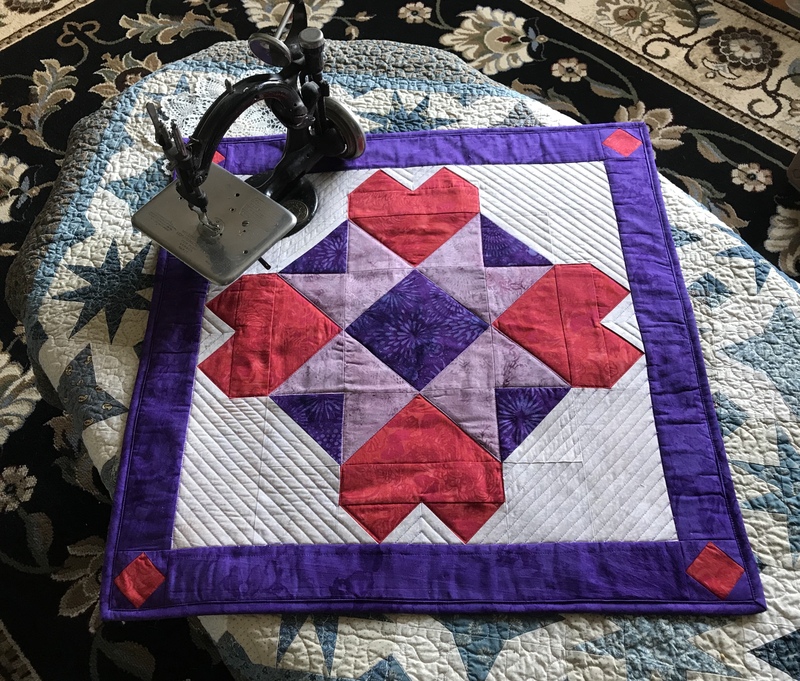 This entry was posted in BlockBuster's, Flying Geese, Flying Geese & Half Square Triangles, Tucker Trimmer 1, Wing Clipper 1 and tagged Combination Units, Deb Tucker, Flying Geese, Quarter Square Triangles, quilting, Quilts, Studio 180 Design, Tucker Trimmer 1, Wing Clipper I on July 9, 2017 by ifthesethreadscouldtalk. Flying Geese are fun to make when you know how! When you learn to use Deb Tucker’s Wing Clipper, you will make 4 flying geese at once. With the Wing Clipper you can make finished size flying geese in 10 sizes from 1/2″ X 1″ to 5″ X 10″. 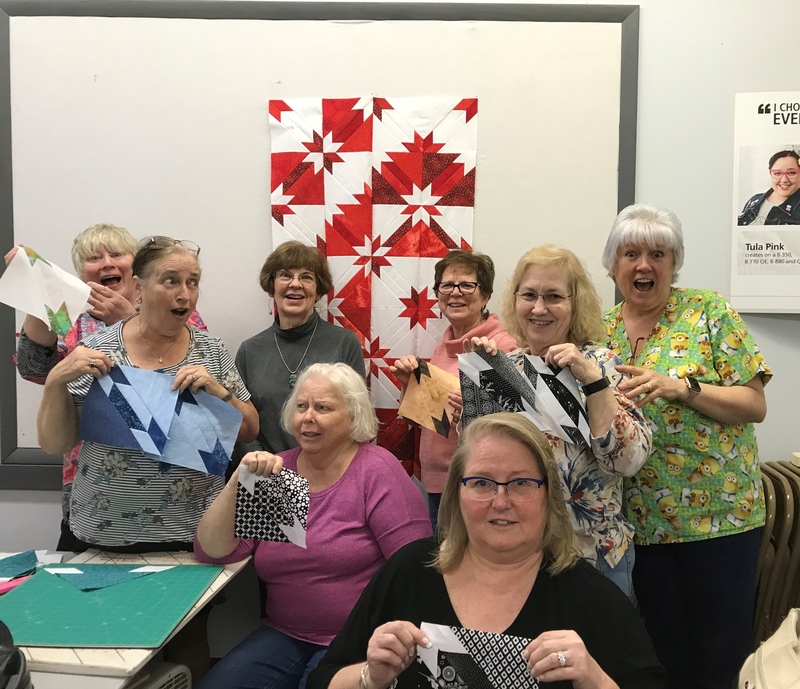 This block is called the 03 Flying Dutchman and consists of 8 flying geese. All the instructions you need to make the flying geese units required for this block came with your Wing Clipper’s instructions. There is a chart with step by step graphics and directions. I chose the third option in the supply list. Remember the large square becomes the large triangle or body in your flying geese, and the small squares become the side triangles or wings in your units. I am making my BlockBuster blocks 12″ finished size. That way when I’m done I can make a quilt. When using the Wing Clipper you start with one large square and 4 small squares. For a 12″ block, my units need to be 3″ x 6″ finished size. According to the chart in my instructions my large square should be cut 7 1/2″ and my small squares should be cut 4″. Because I need 8 flying geese units I cut 2 large squares and 8 small squares. Take your Magic Wand and on the back of your small squares draw lines diagonally corner to corner as shown above. Position two small squares on one large square as shown. When positioning, nudge the small squares toward the center a thread or two. This gives you a little more to trim off. Sew on lines and cut apart as shown above. Press toward the small triangles. Position another small square as shown above, again nudging the small square away from the edge about 1/16th of inch. Sew on the lines and cut apart, and press. You now have 4 oversized flying geese units. Repeat the same process with the second large square and 4 small squares. You now have 8 oversized flying geese units. Position your oversized flying geese unit horizontally on your cutting mat, with unit pointed toward you as shown above. Align the diagonal guide lines of the Wing Clipper with the sewn seams of the flying geese unit. Trim the two sides. Rotate your unit and reposition your Wing Clipper to align clean-up guidelines with the previously trimmed raw edges and trim. Check your instruction for Left-handed trimming. Lay out your units and sew 2 together to make 4 quarters, pressing your seams in the directions the geese are flying. Sew your 4 quarters together. 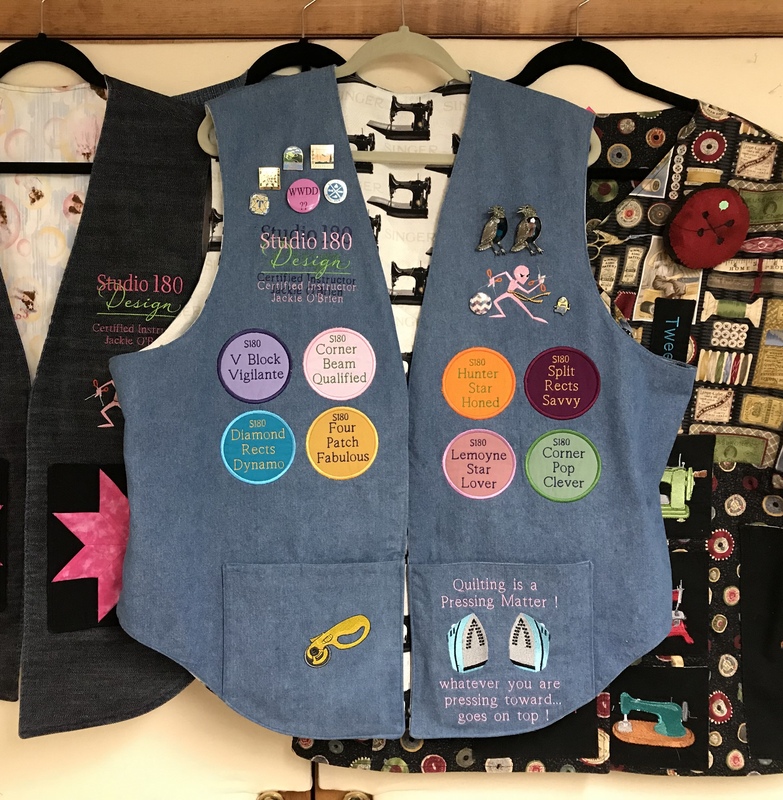 This entry was posted in BlockBuster's, Flying Geese, Wing Clipper 1 and tagged BlockBuster's, Deb Tucker, Flying Dutchman, Flying Geese, quilting, Quilts, Studio 180 Design, Wing Clipper I on June 12, 2017 by ifthesethreadscouldtalk.